Hey guys, Ricky here! I'm very sick today but just for our readers I summoned up the strength to write a little blog. Ok, so we lived in China for over a year and traveled for two months and I have to say, China is home to 90% of the world's biggest rips-off. 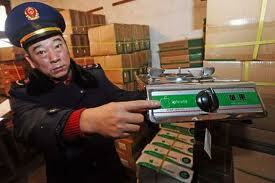 Everything you can buy in China needs a thorough inspection before you can tell if it's legit or just a plastic casing that looks similar. 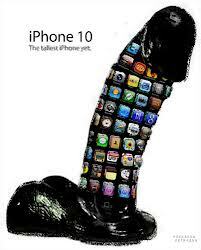 And because of the success of Apple's iPhone, the iPhone branding was certainly not left untouched. Below we have assembled a list of products that some smart little man in a factory in the Guangdong province of China decided should merit the lovely logo that Steve Jobs worked quite hard to build. We actually found these beauties in a market in Vang Vieng. Sometimes, a lady has to get sophisticated and trod on the logo of the world's most valuable company to feel good about herself, and what better to get your husband to notice you and say "you look nice dear" than a nice pair of IphoneS sandals? 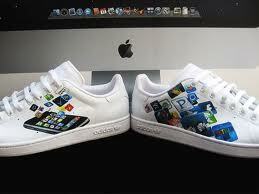 What better to go running in than in your amazing new iPhone runners! 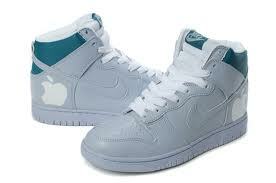 Available in white or sometimes black. But mostly just white. There are times when owning an Apple product simply isn't enough. There are times when you need to be with your apple product, even in your sleep. You need to hold it tight and stare into it's high resolution "retina" display and say...... thank you. 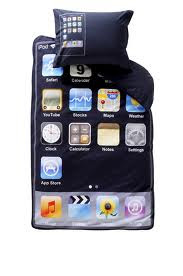 Cue the iPhone bed sheets! Email, play Angry Birds, take 720p video, all in your sleep! Come here app store! You get in here too, Safari! This is simply random and useless. 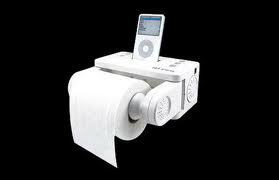 Toilet paper dispensing Ipod/Iphone dock. You know those times when you need to go to the bathroom and you don't really want to because you forgot your toilet paper and/or headphones? never fear, this nifty little number can play your favorite party playlist out loud, so the party never has to stop. Just imagine the new dance moves you could invent while you're waiting for the business side of things to finish! I'm sold. Dispenses bog roll, and excellent tunage. 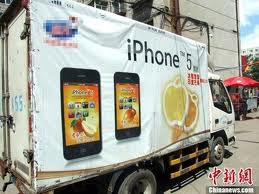 The iPhone 5 ice cream!! I had a couple of these myself and for some absurd reason, which I can't fathom for the life of me, they are pear flavoured. 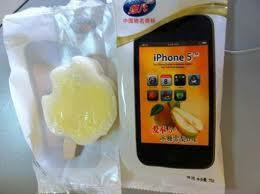 The "Apple shaped Apple Iphone 5" signature ice cream is pear flavoured, and came with a bite taken out. No lady garden is complete without a nice pink apple on the front, as we can see below. I have two pairs myself, and as with everything that China produces they are not strictly for sale, only for rent for a short period until they fall apart in tatters. Available in ..... apple colors. 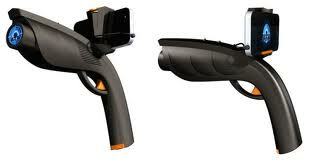 You know I've always wanted to be able to incinerate some poor creature while checking my e-mails, and now, we can! 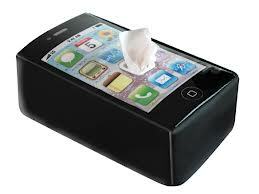 I'm not really sure what purpose the iPhone actually serves here but, well, I want one. Complete with vibrating function and SIRI. So you can tell it what to do.